Join us at our local pro race! 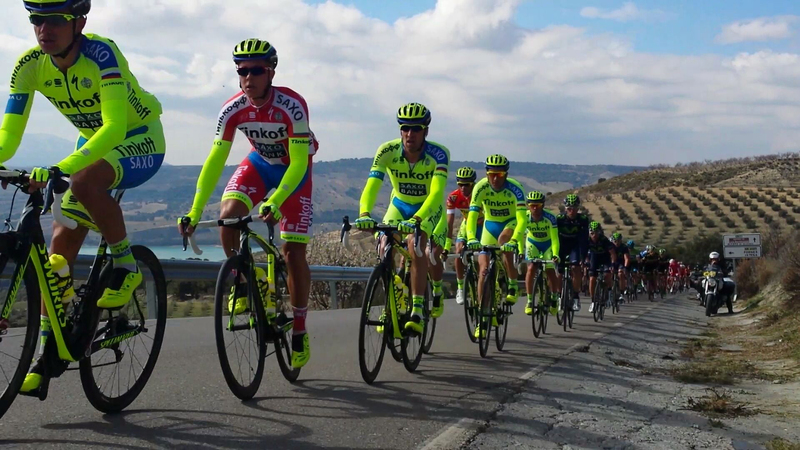 This a great opportunity to see the best riders in the world up close with virtually no crowds. Ride the race route of La Vuelta a Andalucia on race day just before the pros, and then enjoy VIP stage finish access at the line. 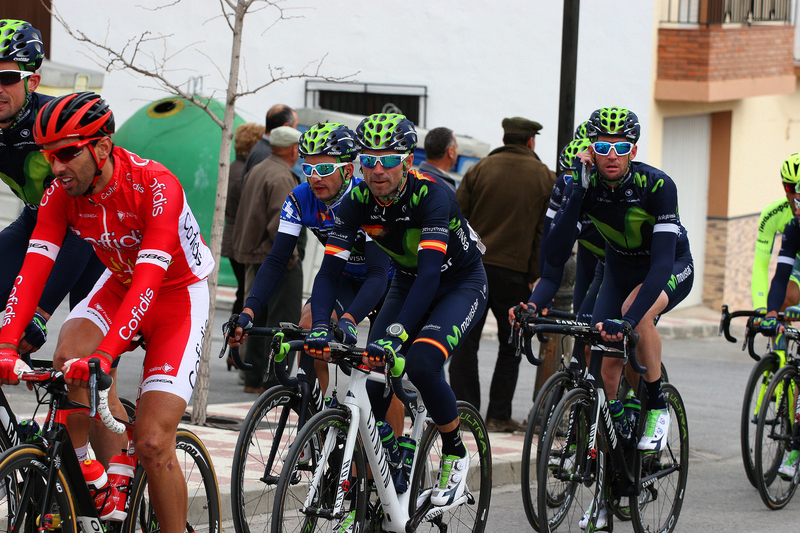 With our company being based in Andalucía, this really is our local race! 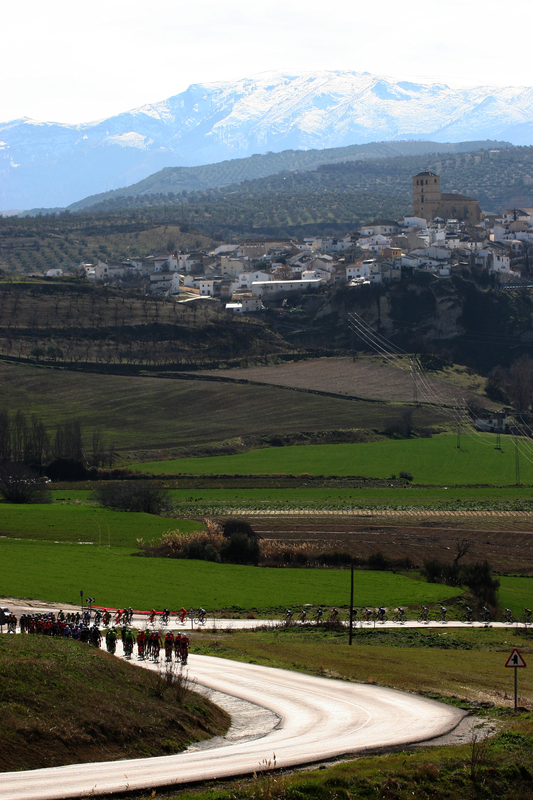 This year, the route passes our front door in Alhama de Granada. 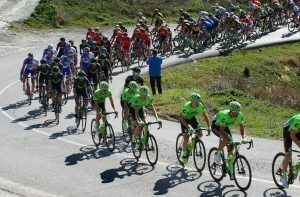 The Vuelta a Andalucía was born in 1925, with the main objective of promoting Andalusian pro-cycling all over the world and is nowadays one of the most important early season races of the year. 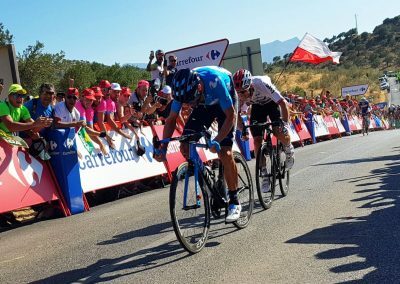 From 2017, it became a Hors Category rated race, just after the World Tour Category of Le Tour de France, La Vuelta and Giro d'Italia. This year is its 66th edition. Also known as the "Ruta del Sol" (Route of the Sun), expect sushine on the roads of Andalucia. 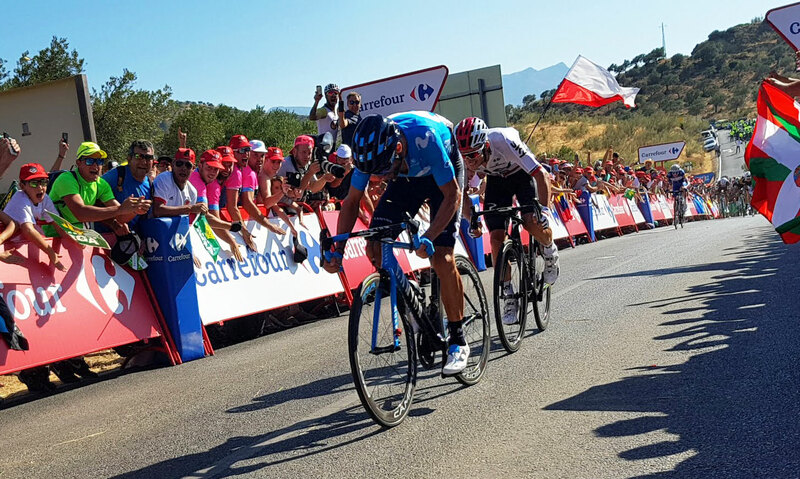 Recently the race has attracted the likes of Froome, Valverde, Contador and last year Simon Yates who won the Queen Mountain Stage. 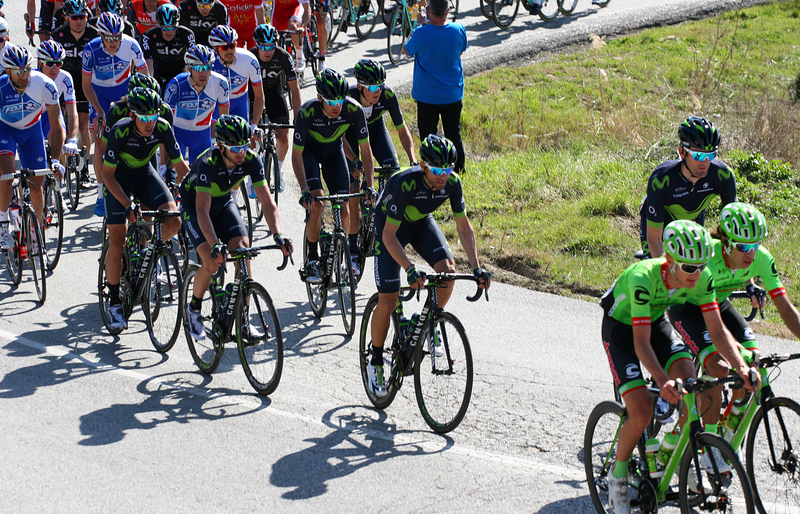 Always exciting, this is a great weekend break to get some warmer weather cycling in and see a great sporting event. We meet in the royal city of Granada at 10:00 (Pick up offered from Granada airport) and take a transfer out to Jaén. From here we will set the bikes up and take a warm up ride before heading out to ride today's Time Trial circuit. 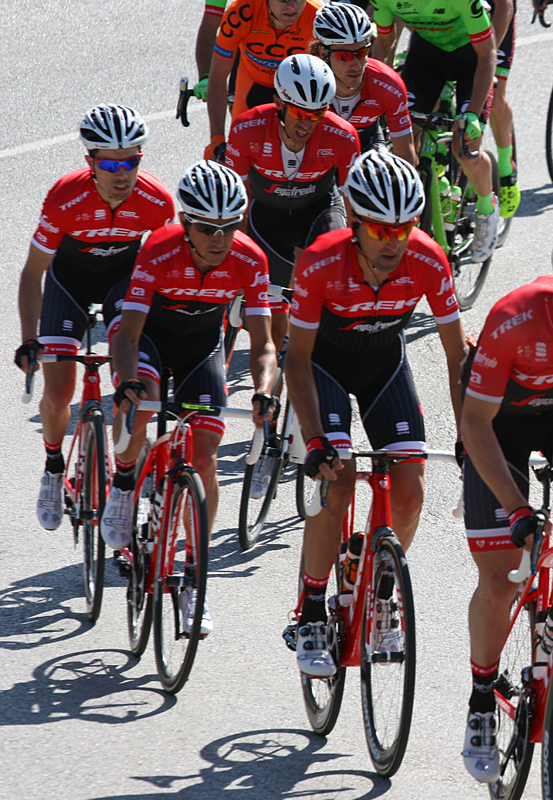 With special accreditation, we will then head to the VIP area at the stage finish to watch the cyclists crossing the line - a great chance for photos! After the podium celebrations, we take a transfer back to our 5 star hotel for the next 2 nights in Granada. Enjoy a welcome group dinner together. A fantastic day of cycling awaits today on our local roads. From our hotel we head out and ride the cat 1 Alto de Purche from Monachil village. 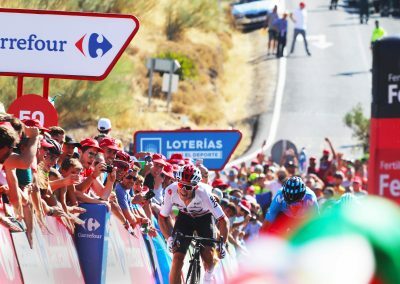 This tough climb is often featured in La Vuelta and is a real test as we head up into the Sierra Nevada. After a good descent, we then attempt the next cat 1 Hazallanas, a steep and winding road with ramps upto 22%! A great race is expected on these slopes as we then head to the VIP finish line area to see the end of the race. A truly great day of riding. Have a night off and explore Granada and her plethora of tapas bars and restaurants. After a good buffet breakfast, we take a short transfer out to get on the race route. 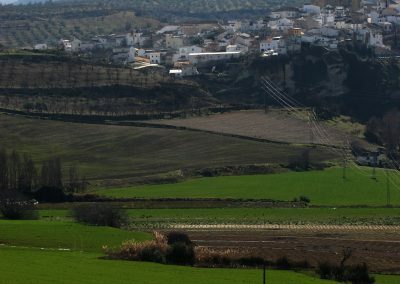 Cycle past our office door in Alhama de Granada before heading downwards towards the blue Mediterranean. 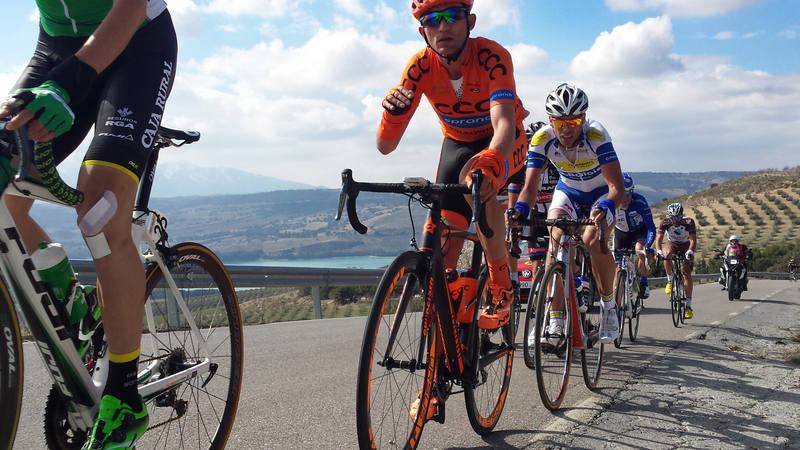 The route today takes us past white villages, olive trees and oranges - beautiful Andalucía at its best. 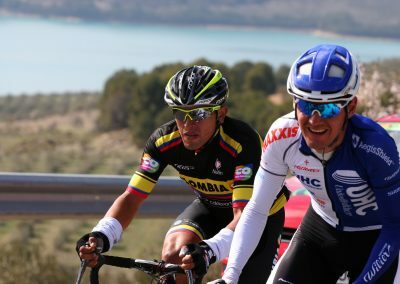 We ride to the finish line in the town of Alhaurin, often used as a depart or finish in pro racing, near to the Costa del Sol. 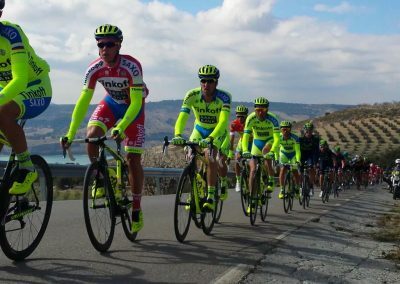 Again we have stage finish access to be there to see who is crowned the winner of the Vuelta a Andalucia. After the race has finished, we head to our 4 star hotel in Málaga. We take a farewell group meal together, before having time to explore the historic centre and its seafront promenade. After breakfast, it is time to say adiós. We will be offering transfers to Málaga airport, arriving at 11.00 or back to Granada airport for 14:00. 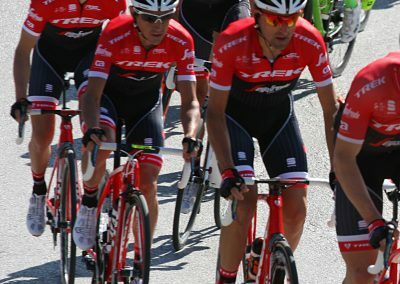 2 tour leaders will offer guiding and van support. 1 guide will cycle with the group. 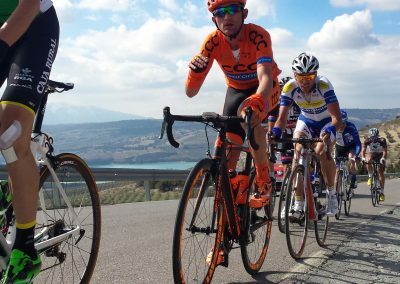 Enjoy these 4 and 5-star hotels in Málaga and Granada and relax after the riding! 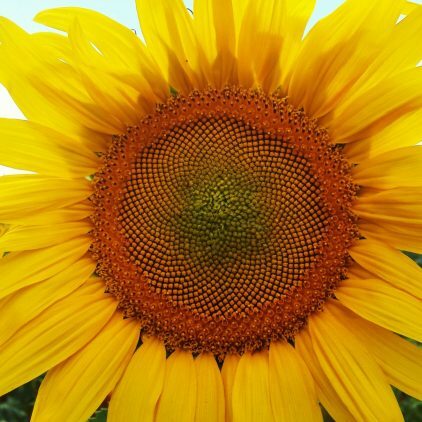 It is time to get out and enjoy sunny days in Spain. Stay in a luxury 5-star hotel in Granada. It has a strategic location, just a few minutes from the historic centre, which makes it the perfect base for visiting the main tourist attractions. The NH Málaga hotel is right in the centre of Málaga, a short walk from shops, restaurants and tourist attractions. An elegant, modern building, now the largest hotel in the city. Close to the river and with views of the Esperanza Church. 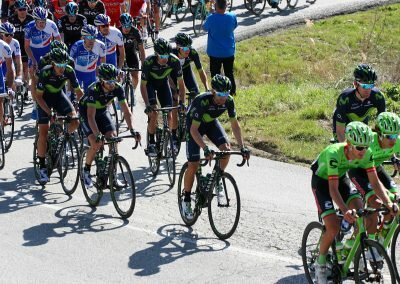 "The Vuelta tour was probably the best bike tour I have ever done. Ok the days were long, but your team gave us the best access I have ever had to a Grand Tour. 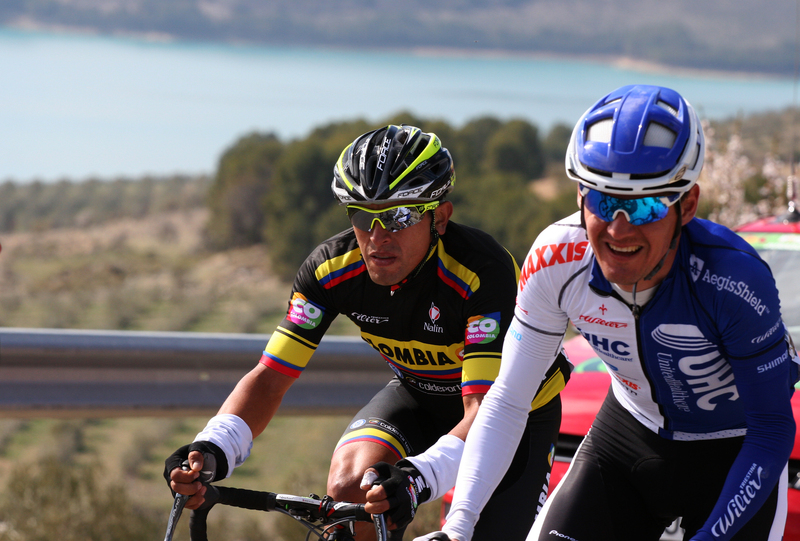 The routes you designed to ride the best climbs and see the stage finishes were exceptional. Chapeau!"